"Daddy, Come & Get Me" has two stories about one girl. 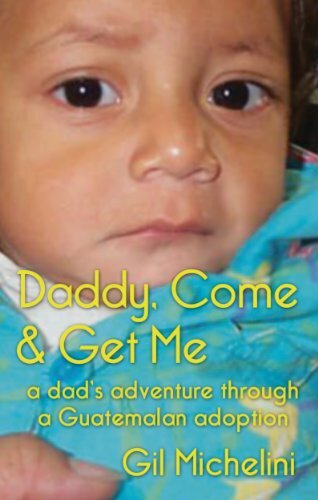 The author tells about leading his family through the process of adopting his daughter from Guatemala. There's also a plausible story of her life in Guatemala and how her birthmother came to the decision to relinquish her for adoption.